We’re happy when our clients are happy and to hear that “the students LOVE the new equipment” means we’ve done our job well. 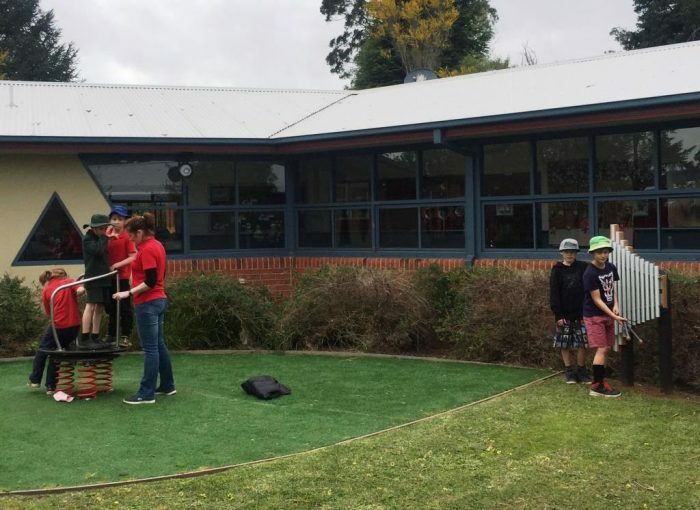 Warragul & District Specialist School originally contacted Playscape Creations to update their sensory garden but after some consultation, had the foresight to invest in an overall playspace masterplan which provides guidance and a vision for the schools long term future. 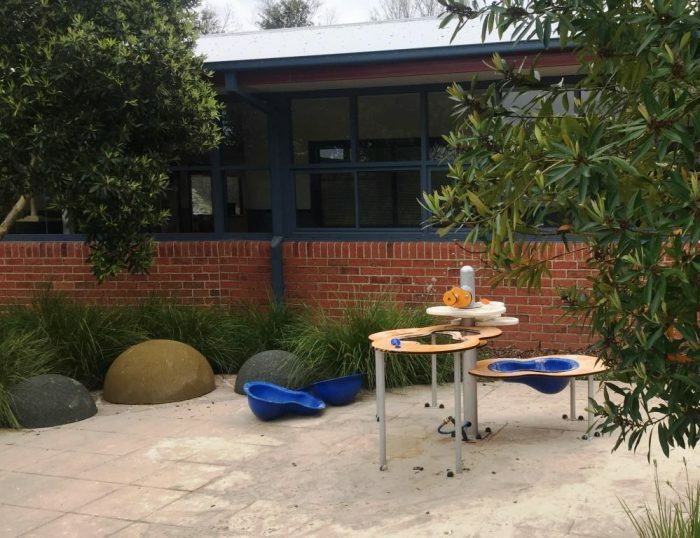 This collaborative approach with our inclusive design team incorporates the fantastic existing infrastructure and adds valuable elements for the children and teachers to explore and experience. 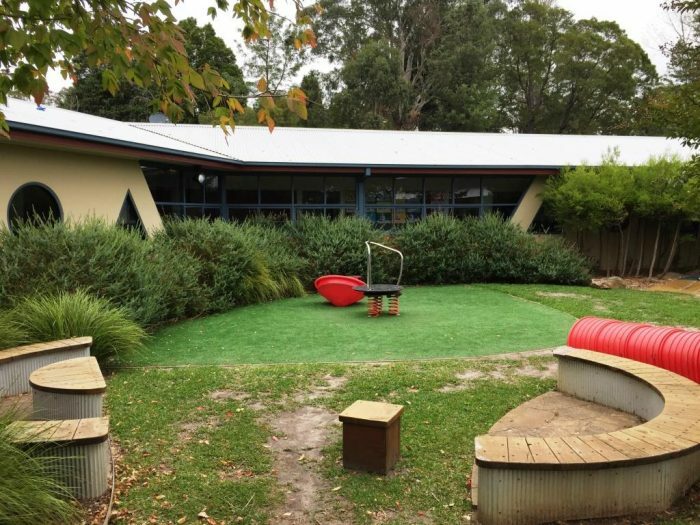 The 7 Senses Design approach was applied to incorporate varied play opportunities throughout this staged development that would meet and stimulate the sensory needs of the children at the school. Vestibular stimulation, tactile sand and water play, discovery, imagination play, to ensure that all spaces can be used for curriculum and therapy. 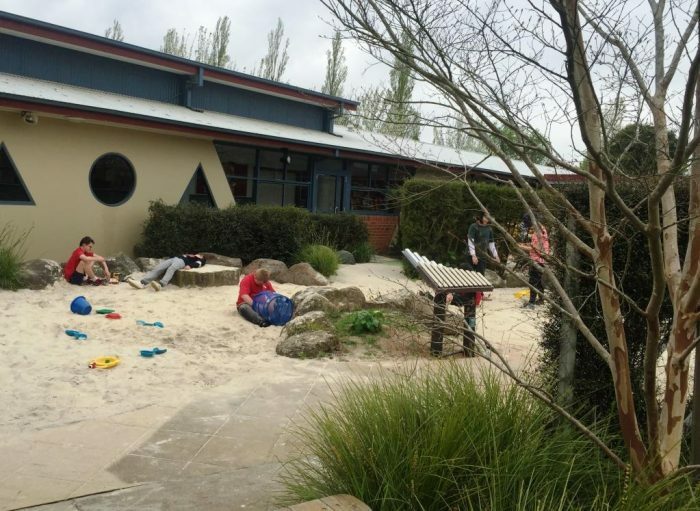 Warragul Special School’s OT, Anne Collins, is working on an integrated playtherapy approach to maximse the use of the playspace and to provide further developmental benefits to the school community and the school has been an innovative collaborator throughout the stages of design and implementation. 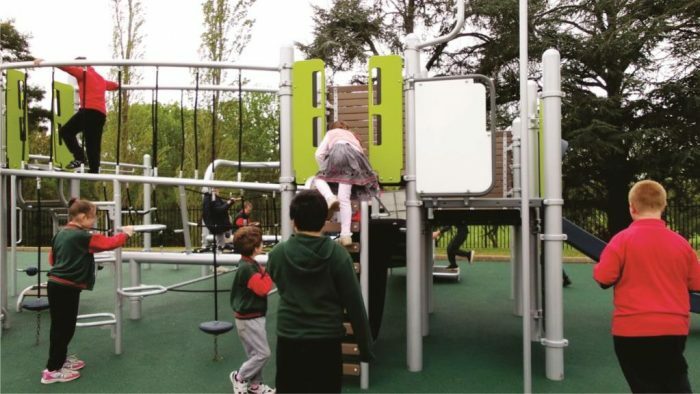 The highlight and most recent stage has been the inclusion of Landscape Structures’ Smartplay Venti – the SMART playground with 20 exciting activities packed into its compact size promoting physical and cognitive challenge. The first in Australia, this has taken over the existing full size basketball court, resulting in a high energy space. 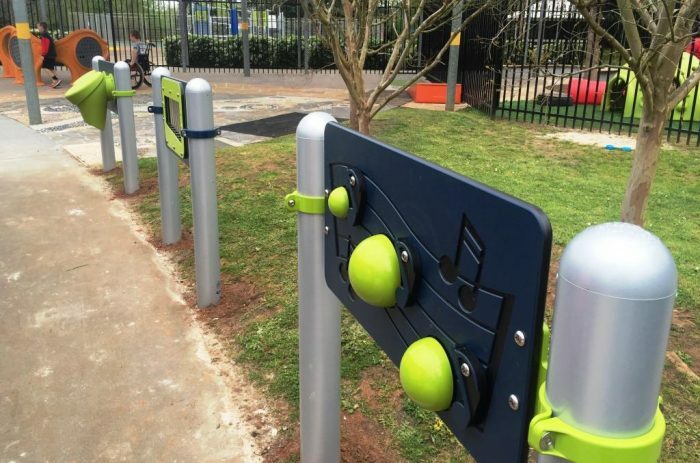 Music features from Freenotes Harmony Park, have been described by the school as “a joy to hear” – designed in perfect pitch with beautiful tone no matter how they are played! 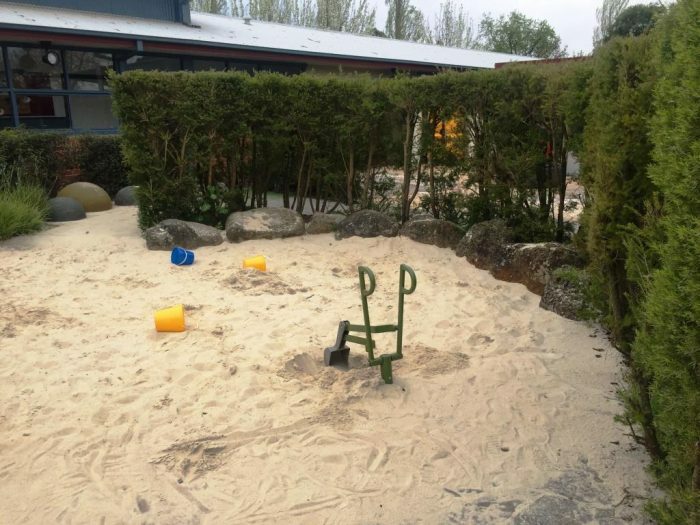 Various cognitive panels, some of which are accessible, offer a range of activities and opportunities for socialisation, and this area with the existing sandpit and now half basketball court keeps children engaged and stimulated through play. 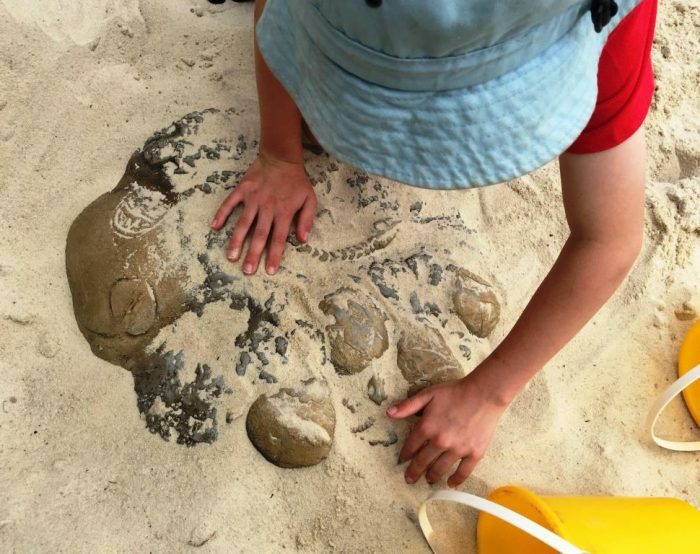 The sand pit is a zone for discovery and tactile stimulation – an accessible superscoop aids dexterity (and fun!) and fossil digs hide beneath the surface for exploratory fun. Other elements include a multi-user Rota Rock, which rocks as it spins, taking vestibular stimulation to great heights, and a Junior Trekker wobble bridge to stimulate balance. The sensory wall creates a striking visual effect with tactile, visual and cognitive stimulation not only within the panels but along the wall itself. Another area was specifically designed for high need support with the inclusive Cozy Dome. A popular feature for children who need to ‘retreat’ from the sometimes hectic playspace, especially children with Autism. We echo what the school has said “It’s really fantastic what we have achieved in 2 years” and we’re thrilled to have been a part of it. Future works for this space include monkey bars, Swings, an updated “Hugging Corner” and a Roller Table for proprioceptive stimulation. 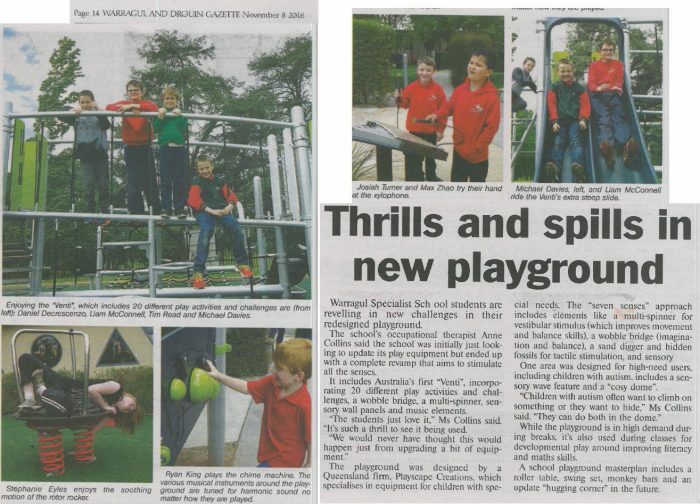 And if there was any doubt about how play contributes to the overall health, well being and development of children, and in particular the Venti unit in a Specialist School environment, the below testimonial says it all ….. I just wanted to say how much we love the play equipment you installed at our school. 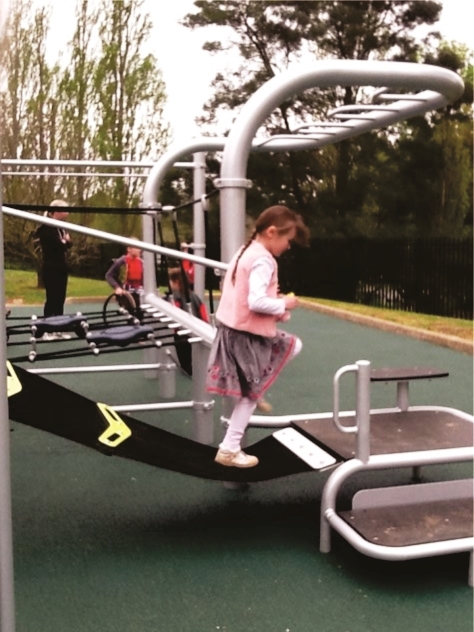 Being a specialist school, our students have intellectual and some physical disabilities, the equipment you installed allows for all of them to explore, play and develop physical and social skills. It is so heart-warming to see a student who has cerebral palsy negotiate the rope bridge as she plays tag, and another on the Autism spectrum be able to find his ‘own space’ on the ‘hammock’ under the equipment where he feels comfortable enough to put his hand out for high fives as others run past. 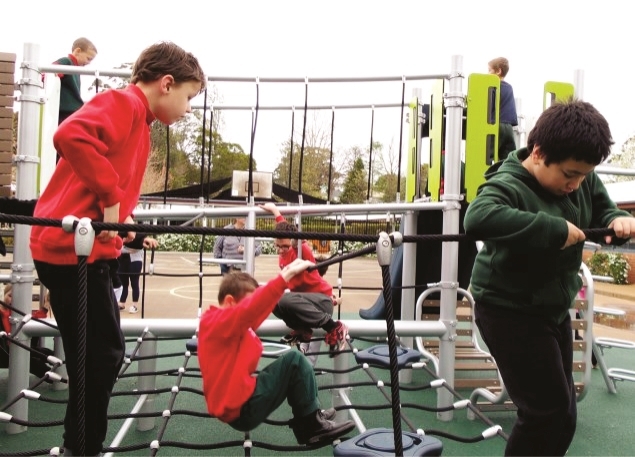 My students are aged 10 – 16 and play equipment is often ‘too young’ for them, but this equipment is large and coloured simply as well as challenging, my students love it. 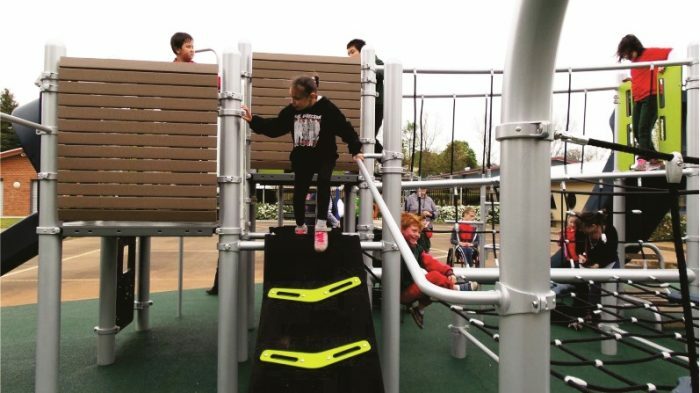 When I first saw the equipment, I was concerned that the rope platform and bridge would inhibit some students from using the equipment as it is not a large, flat, surface areas that we are used to seeing for students. I was so pleasantly surprised to see so many of our students negotiating the ropes and succeeding at moving across them. The low rope platform area, is low enough for students not to feel they are going to fall, as well as the ropes being large, and they feel sturdy with only a small amount of movement, thanks to the discs joining them together. However my favourite part is the double slide, it’s great to see students interacting with each other as they race each other down and up the slides, rather than one at a time like on a single slide. 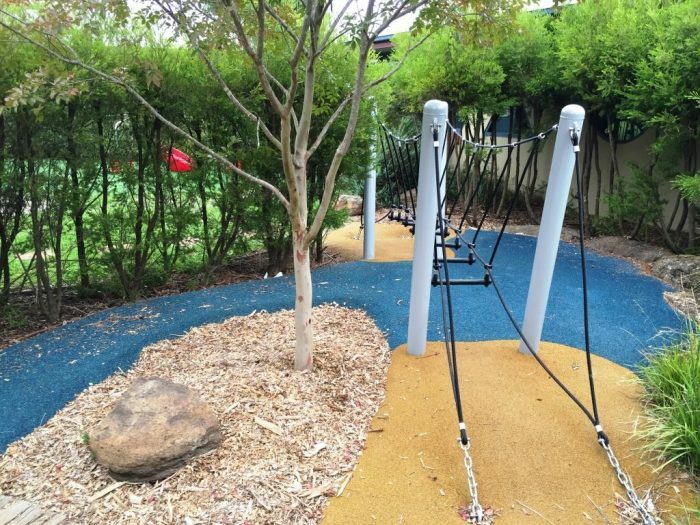 My students have improved many gross motor skills by playing on this equipment, as well as having social interaction and building confidence as they build up to moving across the low and then high rope areas. 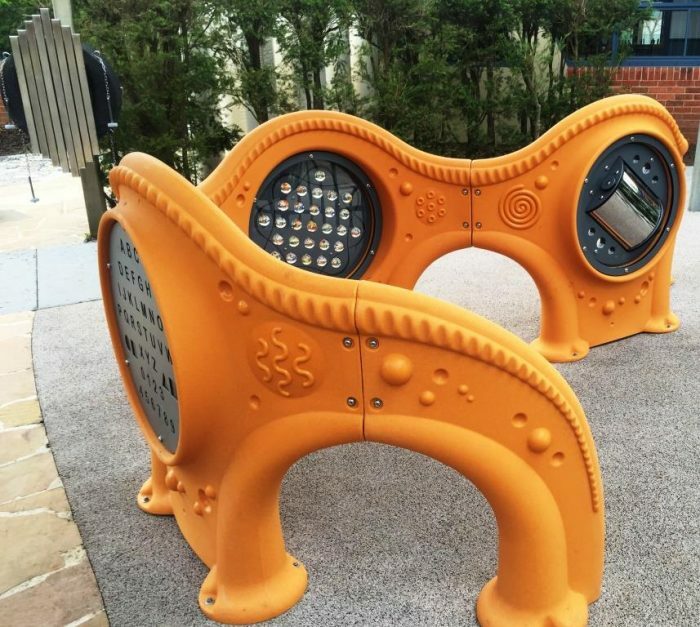 I’m sure all of this is not new to you or the staff, as you have obviously put a lot of thought into the design of this play equipment. But for me this was a wonderful find, first looking at this unassuming equipment I had no idea how valuable it would be for my students. Thank you very much.